Orlando residents and tourists alike like to get out and have fun. This means alcohol is a big draw for Florida restaurants and clubs. As such, many business owners look to invest in a liquor license. Depending on the type of alcohol you plan to have at your place of business, a license allows you to sell beer, wine or liquor (spirits). If you plan to sell beer or wine only, getting a liquor license will be relatively easy. You can get a package license or simply a consumption-on-premise license. 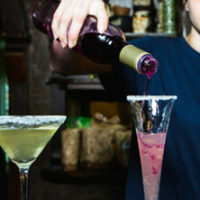 If you own a restaurant and derive most of your sales from food, but wish to sell alcohol as well, you can get a special restaurant alcoholic beverage license. With this license, you can sell beer, wine and liquor as long as it is consumed on the premises. If you plan to sell hard liquor—such as bourbon, vodka or scotch—then the process is much more difficult. There are currently none of these licenses available from the Division of Alcoholic Beverages and Tobacco. New licenses become available only when the population of a Florida county increases by 7,500 residents. This means that you must enter a drawing in order to win the rights to apply for this license (called a quota license). Quota licenses are very expensive. You must pay a one-time fee of $10,750 plus an annual fee. Your only other option is to buy an existing from someone who may be going out of business or who no longer wishes to sell alcohol at their establishment. The process is quite simple. You must fill out a license application, which is available from the Division of Alcoholic Beverages and Tobacco. You can pick up an application in person, have one mailed to you or get one online. Make sure you fill it out completely and pay the appropriate fees. The fees vary by county and the type of alcohol you plan to see. The annual fee may cost as little as a couple hundred dollars or as much as a couple thousand dollars. When the application is complete, you can mail it in or hand deliver it to a local licensing office. Completed applications must be processed within 90 days, but if you follow all the directions on the application and the license is not complex, then you could receive your license much sooner. There are many types of licenses available for businesses looking to sell alcohol in Florida. It’s important that you not only choose the right license, but also understand the processes and costs involved. You might have to buy a license from an existing owner if there are no new licenses available. Orlando liquor license lawyer B.F. Godfrey from Godfrey Legal can help you with this daunting process. 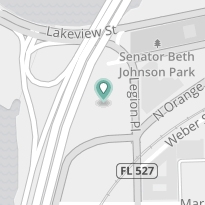 He understands Florida laws and will guide you in the right direction so you can get a hold of a liquor license for your business quickly and easily. Contact Godfrey Legal at (407) 890-0023 today for a consultation.